Ever wonder of what wind really is? Well in this brochure will help learn about winds. 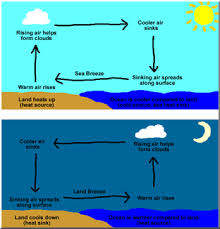 Wind is the movement of air from areas of high pressure and low pressure. 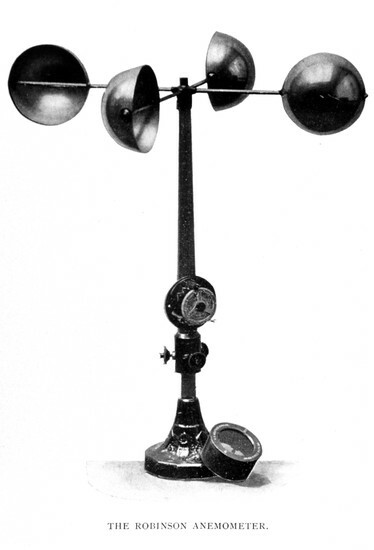 You can measure its speed by using a anemometer a device with 3 or 4 cups that spin on a pole. 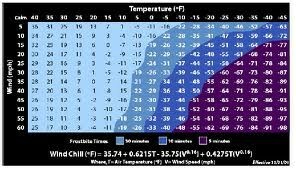 Next we will talk about the Wind-Chill-Factor. Local Winds have things called a sea breeze. A sea breeze blows from the ocean, sea, or lake towards the land in the day. That would be a Local Wind. Now lets talk about the Land Breeze. Land Breeze is the complete oppisite of Sea Breeze. At night the wind blows from the land to the water. Next is Global Winds. 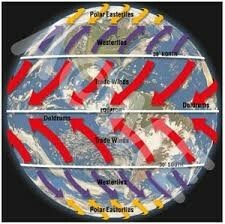 Global Winds is when the winds travel over some big or large area like the globe. Like the United States of America. Now were gonna talk about about Coriolis Effect. The Coriolis Effect makes the winds to cause a rotation instead of going straight. The Coriolis Effect has control of the wind too. For instance, the global winds in the northern hemisphere turn to the right. Also the global winds in the southern hemisphere turn to the left. Next is the Global Winds. Global Winds has lots of things that cover the wind system of earth. Let's begin with the Doldrums. Doldrums is a wind that are located at 0 degrees (the equator) and they are very much likely to be weak. Next is the Horse Latitudes. The Horse Latitudes is a wind located at 30 degrees north on the earth and it too is weak. Trade Winds lie in between 0 degrees to 30 degrees latitude and are very strong winds. Sailors used Trade Winds so they can travel to other countries for trade goods. Jet Streams are next and they are very strong winds too. Airplanes use this to travel faster when they save their fuel. There is another wind called Prevailing Westerlies. Prevailing Westerlies lies between 30 to 60 degrees north and south latitude and blow from the west. Last and finally is Polar Easterlies. 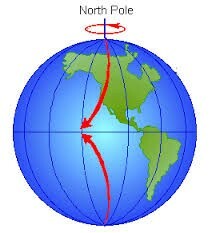 Polar Easterlies blow from the north and the south pole. Last Thing You Need to Know! The last thing that you finally need to know about winds is that they can be wherever you are. There are many types of different winds so when you feel the wind take a compass or find were the wind is blowing and try to think which type of wind is it.